Have your event at the VIC! The VIC is available for weddings, staff picnics, birthday parties, board meetings, and other private events. 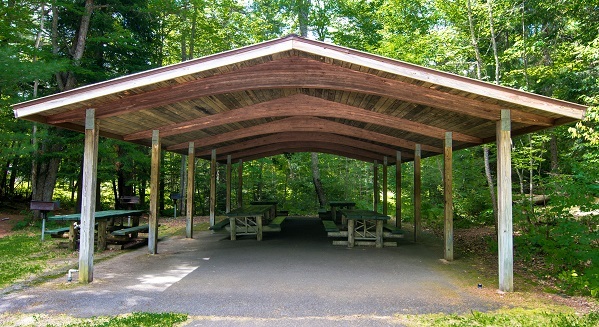 Our Maple and Balsam Pavilions are ready for your next family reunion, staff picnic, or birthday party. Bring your food, drinks, and games, and we’ll provide the rest! Please note: there is no running water available directly at the pavilion. 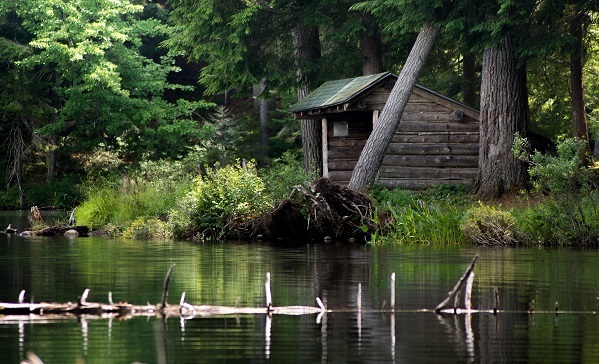 The VIC has three lean-tos on the property available for registered campers for a nominal fee. All are accessible via hiking trail or canoe. 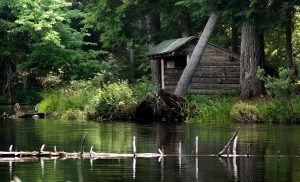 Permits and payment are required for use of the Long Pond and Black Pond lean-tos throughout the year. Campers are required to follow the Principles of Leave No Trace, including minimizing impact and carrying out all trash. The lean-tos along the Heron Marsh Trail are day-use only and do not require pre-registration or permits. For outdoor facility rentals including Picnic Pavillions and Lean-tos please contact the VIC staff at vic@paulsmiths.edu or (518) 327-6241. The Heron Marsh Gallery is available for rental for private functions, dinners, groups, and more. The VIC Theater can host live performances, lectures, presentations, movies, and more. The VIC has a downstairs classroom space with a partition that can split the room in half. Perfect for staff meetings, school groups, and more. The VIC has an upstairs board room available for staff meetings, events, and more. Interested in having your wedding or other large event at the VIC? You can reserve the entire facility. Paul Smith’s College Conference Services will work with you to create a package that meets your pricing and facility needs! For weddings and other large events, please contact Paul Smith’s College Conference Services Coordinator, Danielle Crowningshield, at dcrowningshield@paulsmiths.edu. For indoor facility rentals including spaces for conferences, parties, weddings and events please contact the VIC staff at vic@paulsmiths.edu or (518) 327-6241.